It is actually quite hard for me to write this post and reflect on my experiences in Chile. After four incredible weeks, I was not ready to leave. I wanted more time. There were things I had still not done, things I had still not seen, and people that I was not ready to let go of. I have a deep desire to follow my heart, and I almost always listen to it. My heart told me that I loved learning about the natural world, so I got a degree in environmental science. My heart told me that I needed to move away from home, so I went to Albany to teach people about the environment. My heart told me that I loved working with children, so I’m working on my Master’s degree in education. My heart is telling me that I have not seen the last of Chile, so I will most certainly return one day. When you travel across the world and walk among the Andes mountains, learn to communicate with people who don’t speak your language, immerse yourself in the culture of Chile, watch the sunset over Moon Valley in the driest desert in the world, and build relationships with incredible people, you walk away a changed person. You are wiser, stronger, and your heart is bigger. You learn to appreciate more, you accept more, and you learn more. Before I left Santiago, I bought a novel in a bookstore written in Spanish. It is motivation for me to continue the journey I started and not allow the new language I learned to disappear from my mind. One day, I will be able to read that novel and understand every word. It is a big goal, but far from impossible. Studying in Chile has given me a new perspective on teaching and learning. I now know what it feels like to be a student who has trouble learning because he/she does not speak the same language. I now appreciate our average class size of 20 – 25 students much more. I can now be more patient and supportive with my students and I am thankful for the incredible resources we have in my school and in others. And I now realize the value of experience. Young minds are shaped by the experiences they have, and it is my job to make sure those experiences are amazing ones. Muchas gracias a las profesoras que organizaron esta viaje. Ustedes son fabulosas. Hasta luego, Chile. Well, here we are. The end of an amazing journey here in Santiago. The Spanish lessons are over and I am about to hop on a plane that will take me to my next adventure. It is next to impossible to summarize this trip in just a few words, and I don’t even know where to begin. If you know me well, you know that I crave adventure and I take full advantage of every opportunity presented to me. This trip has been no different and I can honestly say that I have lived life to the fullest during the short time I have been here. 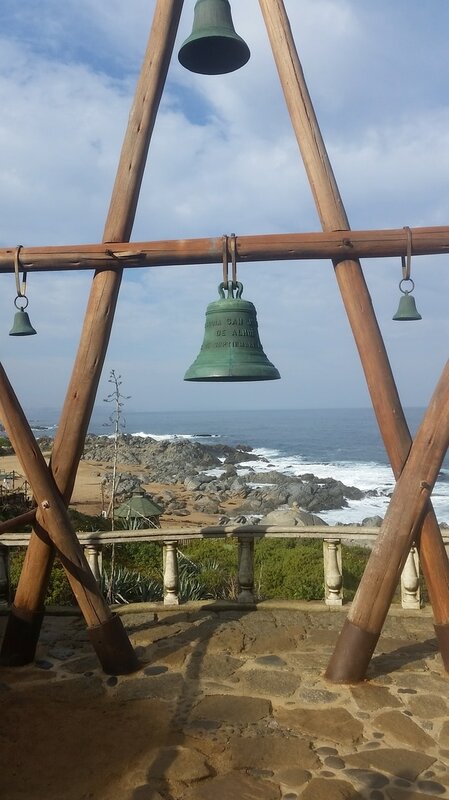 I have eaten traditional Chilean food, hiked in the Andes Mountains, explored Valparaiso and Vina del Mar, visited Pablo Neruda’s home at Isla Negra, rode on horseback through the Chilean countryside, taught English in multiple schools, learned the history and language of Chile, made countless new friends, and embraced the culture of the beautiful city of Santiago. If you think that sounds like a lot, you’d be correct. Even so, I want more. I guarantee I will be back in Santiago someday. This was not enough. Santiago is much to amazing to leave behind. There are a few things that I will take away from this experience that I could not have learned or seen anywhere else. I have been lucky enough to observe teachers in extremely different classrooms and very different schools in Santiago. I am walking away as a better educator and a better person. I have seen struggles and I have seen successes here in Santiago, and I can bring back what I have learned to make my own classroom a more welcoming and encouraging place for my students to learn. I have had several discussions with Chilean educators and students about their education system and their concerns. There are many similarities between our education systems, and I have found that teachers share many of the same struggles as we have in the United States. There is one central idea that all educators, Chilean and American alike, share. We all want the best for our students and know that there is nothing more rewarding than watching our students learn and grow. Wherever you go, you will find passionate teachers who are some of the most caring people you will ever meet. I guess technically, I cannot yet say goodbye. Fortunately enough for me, my family has an adventurous side like I do and decided to join me in Chile for a taste of what I have been experiencing. Today, the students from Buffalo State will be boarding a plane to take them away from Santiago. For most of us, we are going home to our familiar city of Buffalo. I on the other hand, am Calama-bound to see the Atacama Desert with my mom and cousin to continue exploring in Chile. For an extra week, I will be able to see more amazing places and I could not be more excited! Last week is a blur of Spanish words, children, schools, meetings, and adventures. I keep losing track of time and it’s flying by so fast. Since I’ve been here, I’ve learned a lot about myself and others. It sounds cliché, but it could not be more true. In my opinion, every person needs to travel. Seeing the world from a different perspective is so very important to grow as a person. Last night, I had an amazing opportunity to sit in on a Spanish class for Haitian refugees. These refugees come to Chile knowing no Spanish, much like myself, and it is hard for them to build a life here without knowing the language. Think about that for a second. Have you ever been in a situation where you can’t understand anything anyone is saying? Have you ever moved to a new place where you don’t know anyone and can’t effectively speak to anyone? Where you can’t find a job? Where you feel lost and alone? I personally cannot relate to these feelings, and I’m sure many of you reading this cannot relate to them either. However, I did come to Chile not understanding the language. Together, the refugees and I learned Spanish words and phrases so we could become a little less lost. What an amazing experience it was. I could not have looked more different with my blonde hair and pale skin in the middle of a room of people with dark skin and dark hair. But that didn’t matter in the slightest. We all had a common goal and helped each other along the way. When you travel, you appreciate more of what the world has to offer. You begin to see people as more than just another face on the street. You start to put yourself in other people’s shoes, and even walk around in them a little bit. Your heart becomes full. I have created some very unexpected friendships during my time here, friendships that will last a lifetime, and I couldn't be more grateful. I have seen and done some amazing things since I have been in Chile, but the most valuable part of this experience has been learning about other people and about myself. Be the change you want to see in the world. Open your heart and your mind to others, even if that means feeling a little uncomfortable at first. Step outside of your comfort zone, it is the only way you will grow. Fill your life with things and people that make you happy…..
For more thoughts and adventures, stay tuned. ​These are the Andes Mountains and they create a physical border between Chile and Argentina. I spent this beautiful Saturday taking in the views and learning how to skip rocks (thanks, Katie). When I tell you that I have no words for how beautiful these mountains are, it is true. So, I’ll leave it at that and let the pictures speak for themselves. ​Stop #2: Valparaiso. 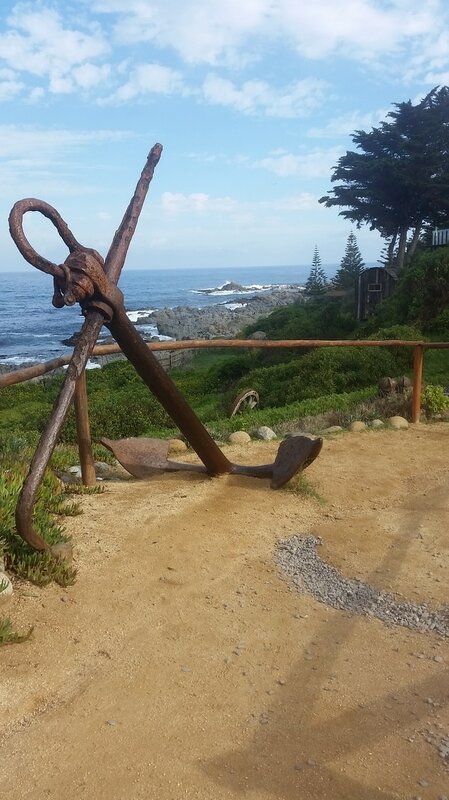 This city is on the coast of Chile and is packed full of culture and amazing views. Stop #3: Vina del Mar. Also on the coast, this city has some of the most amazing street art I have ever seen. It is a beautiful city with surprises around every corner. Monday came before we knew it, and brought with it more Spanish lessons. It also brought a unique opportunity to meet a group of new friends through the organization El Oasis. At El Oasis, people come together to learn English and be part of an amazing group of friends. We got to join in the festivities of the night and talk to some really cool people. Not to mention they were able to help me with my Spanish and help me practice. Thank you to my friend Nico for introducing me to this fabulous group! Every day from 9am to 1 pm I attend Spanish classes at a Spanish school here in Santiago. For someone who came to Chile without knowing any Spanish, I have to say I’m catching on quickly. The host family that I am living with here in Santiago speaks only Spanish, so it has definitely been a challenge for me to find effective ways to communicate with my host mom. Now, she sits with me while we eat dinner and quizzes me on vocabulary words. Table = mesa. Window = ventana. Knife = cuchillo. Etc, etc. We talk about the weather and the places I’ve been going with my fellow classmates. It’s actually amazing practice, and my Spanish is far from good but it’s definitely better than when I stepped foot on South American soil. Tuesday was filled with meetings and I had several opportunities to speak with Chilean students at Universidad Mayor, the University that Buffalo State partners with for this program. Like me, they are future teachers and have awesome ideas and stories. I got to speak to them about their thoughts on education in Chile and they asked me many questions about teaching in the United States. 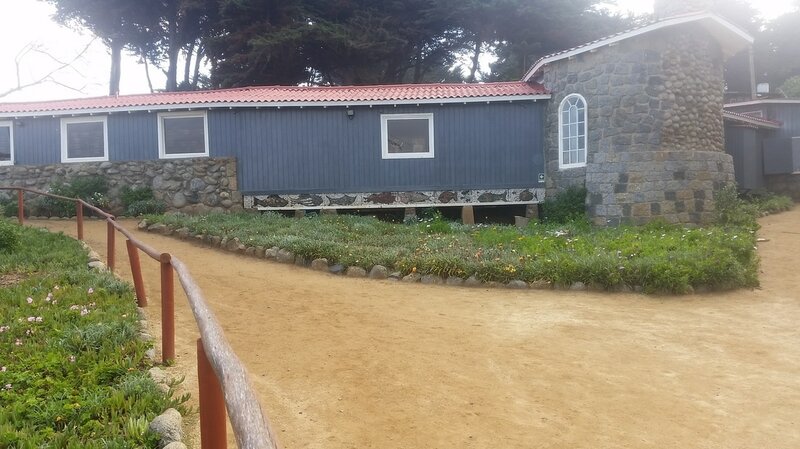 Classrooms in Chile often times have 40 – 45 students per class, as opposed to the average class size in the U.S. of about 20 – 25 students. I don’t know about my colleagues, but I think that keeping track of 25 students is hard enough. It was really cool to hear the perspectives of fellow educators and compare them to mine. Later that night, we celebrated a successful start to an amazing trip for all of us. AND THEN… Something crazy happened. After Spanish lessons and visiting the school, I stepped WAY out of my comfort zone and went to a Salsa dancing class. That’s right. Salsa dancing. When in Chile, right?! I had an awesome dance partner and looked like a silly tourist with no rhythm, but it was the most fun I’ve had so far. If you ever have the chance, take a dance lesson. After Spanish classes, we got to really explore the city and learn about the history of Chile. Our visit to Museo de Memoria was an experience full of emotion and reflection. We learned about some extremely important and intense times in Chile and were able to feel more connected to the culture and history of the country we are calling home for three weeks. After our museum tour, we walked to the top of Cerro Santa Lucia for a fabulous view of Santiago. Los mapaches y los chanchos! ​For those of you who don’t know, los mapaches y los chanchos translates to “raccoons and pigs”. Those are just two of the words I learned today in my first Spanish class here in Santiago. Did you know that there are no raccoons in South America?! My teachers have never seen a raccoon ever in their whole life. It’s crazy how different it is on the other side of the world. Who would have thought? But hold on, how did I even get here? Lets rewind. ​It all started at the Buffalo Airport where all the girls and I were cheesin’ real hard. I think it’s safe to say we were all decently excited. If you’ve never been on a plane for 10 hours straight, you are actually very lucky because it is surprisingly not the most comfortable experience I’ve ever had. Shocking, I know. The thing is, I just know that when I fall asleep my mouth is going to hang open and I’m going to start drooling and I’d rather not do that in front of a ton of people. In any case, I made it and here we are. After we all made it through customs and hopped in a couple vans, we were dropped off at our host families homes. Here’s the thing, I don’t speak ANY Spanish. My roomate Rachel doesn't speak ANY Spanish. And my host family doesn’t speak ANY English. That’s right, we can’t communicate with each other. So we are basically playing charades and talking really slowly while the other person watches with a blank face. But hang on, there is an up side! Being forced to find ways to effectively communicate with others in Chile has pushed me out of my comfort zone and every day, I learn something new and it gets easier. I like the challenge. I want to learn. If only we took the time to understand everyone in our typical day to day lives like that. ​At the end of a long plane ride and settling in, we were able to walk around the city and explore. I felt like Spongebob steppin’ on the beach. (do do do dooo!) There are so many beautiful places in the city and I can’t wait to see more. ​Will I find beauty? Already have. ​Will I find love? This guy clearly says no. ​Will I find friendship? Most definitely. These girls are awesome. ​Today was filled with Spanish lessons and empanadas. Every day starts with a Spanish lesson and a new adventure. I live just a few minutes from the schools I am attending and I can easily walk anywhere I need to go. Grocery stores, banks, and restaurants line my street and the sidewalks are teeming with people that look like they have somewhere to be. Its very different from home, but so far, so good. I am so excited for the days to come and I can’t wait to see more of the city. For real though, I WILL find out because I leave TOMORROW. At this point the nerves are getting to me and I feel like that meme of Mr. Krabs that’s been going around. I’m one of those people that think sometimes you need to be a little selfish. You need to do what makes you happy, and what is best for you. This experience is allowing me to travel the world AND further my career at the same time. I don’t want to be that person who looks back on their life and regrets not taking risks or pursuing a dream because it might be hard. Life is hard. But it’s those challenges that make you a stronger and allow you to grow. Mr. Krabs and I might feel a little overwhelmed right now, but I guarantee it will all be worth it. ​For more thoughts and adventures, stay tuned. Those are still basically the only Spanish words I know, and I’ll be in Chile in just 13 short days. I tried, I really did try to learn more Spanish before the trip started but grad school is no walk in the park. I’m lucky I finished all my assignments without my brain melting. So here I am making lists of things I need to remember and trying to decide how many pairs of socks I should bring with me. A lot of my friends and family have said things to me like, “Wow Renee, that’s so cool! It’s going to be so warm and you’re going to get a great tan and you’ll finally see the sun!” (Buffalonians will surely understand that last part). The thing is, and I hate to destroy their fantasies of 80-degree weather and perpetual sunshine, it’s fall in Santiago and the temperatures are not going to be as balmy as you might think. I’m packing to accommodate temperatures in the 50’s and 60’s during the day and 40’s at night. Layers, layers, layers! Of course I’m excited! I’m going to a foreign country to become a more well-rounded educator and experience a totally different culture! It’s basically a dream come true, and I could not be more grateful for this opportunity. I can’t wait to reunite with our Chilean friends from Universidad Mayor. I can’t wait to work with students and see what schools are like in Santiago. I can’t wait to meet my host family. And I can’t wait to eat empanadas. Hey! I'm Renee, a graduate student at Buffalo State working on her Master's in Childhood and Early Childhood Education. I love teaching, nature, reading, and my hammock.